Poděbrady. 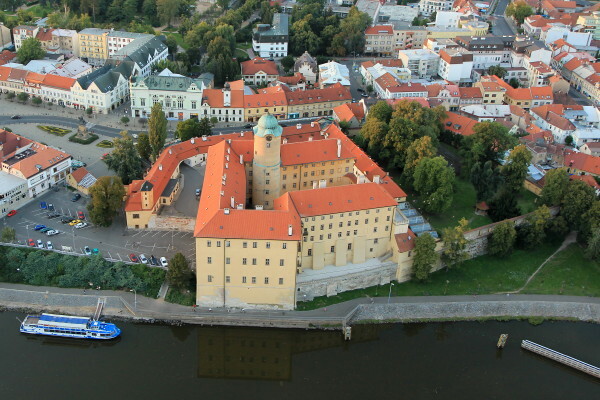 A city (2013 pop 13,986) in the Czech Republic on the Laba River approximately 50 km east of Prague. The city was the site of the Ukrainian Husbandry Academy (UHA, 1922–35) and the Ukrainian Technical and Husbandry Institute (1932–45). In 1926 there were 800 Ukrainians there. It also served as a center for 52 Ukrainian organizations, of which 38 were connected to the UHA. Among the latter were the Academic Hromada of the UHA, the Community of Students of the UHA, an academic choir of 50 singers, a writers’ group, a drama group that staged over 30 productions, a banduryst association, and a sporting club. The Academic Hromada published a journal, Nasha hromada. Poděbrady was the center for the League of Ukrainian Nationalists (headed by Mykola Stsiborsky) in 1925–9. Local branches of the Plast Ukrainian Youth Association and Sokil were also active there.